It is important to understand the critical distinction between election fraud and voter fraud to fully understand what is happening, why it is happening, and likely who is behind it all. Voter Fraud is what people do at the polls — illegals voting, voting more than once, felons voting, impersonating another voter, etc. Election Fraud is something entirely different. It is the internal, digital alteration of the election results to change the outcome in favor of a preferred candidate despite the actual votes we cast on our ballots. It can happen by several different methods but in the end, the collective view of all of them begins to yield indications of who is behind it. A picture emerges of who benefited from it that can point to whom may have set it all in motion. As I explained in the last installment, different anomalies appear in different elections. This is most likely the use of different tactics to achieve the same end so as not to establish a pattern of behavior that becomes more easily detectable. Those involved in election fraud would be wise not to get too greedy or else they create suspicion and risk subsequent inspections or investigations. So, in hindsight, we can see that in 2016 when Republicans were largely winning up and down the ballot, handily defeating entrenched Democrat incumbents, the four seats on the NC Council of State that went to or remained in Democrat hands, were Governor, Attorney General, State Auditor and Secretary of State. I do not think it is coincidence that those four positions just happen to be the four that have a constitutional or statutory role to play in the conduct of our elections and the investigation of voter /election fraud. 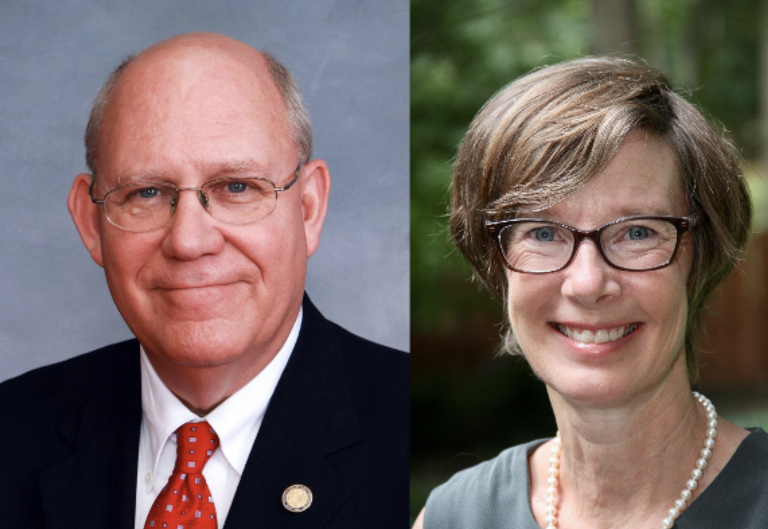 Two Wake County seats held by Republicans Marilyn Avila and Gary Pendleton in the NC House were lost to Democrats. In 2018, two more Republicans were displaced: Chris Malone and Nelson Dollar. Yes. Don’t get greedy. Inches at a time. In the NC House District 103 race between incumbent Republican Bill Brawley and former Gov. James Baxter Hunt’s daughter, Rachel Hunt, Brawley had a 390 vote lead if you look only at the votes cast in person during Early Voting or on Election Day. Yet Hunt won by 68 votes once the Absentee by Mail and Provisional Ballots had been tallied. There were only 57 Provisionals Approved or Partially Approved in that District so that means she gained a margin of more than 400 votes over Brawley from the Absentee by Mail ballots alone, the same type that were mishandled in other nearby counties. But no one is looking into that, at least officially. And still, those numbers were reported on the 16th of November and have not changed in spite of Mecklenburg County not having even reported their Provisional Ballot results to the State at that point. When we consider the companion losses of several seats on the NC Supreme Court and other Legislative seats, there is a clear resurgence of Democrat occupancy of key positions in NC government. It all makes sense when we entertain the prospect that they clearly want to be in control in 2020 when the new census is complete and election maps are redrawn accordingly for the next decade. But, with an election system that allows for negative votes, vote totals to be declared by the State before they are even submitted by the counties, or hundreds of lines of vote totals to go missing from the accounting, anything is possible.